This ergonomic Kärcher Premium spray lance combines perfect detail and convenience. For versatile use in the garden. Premium metal spray lance ideal for watering small and medium-sized and gardens. 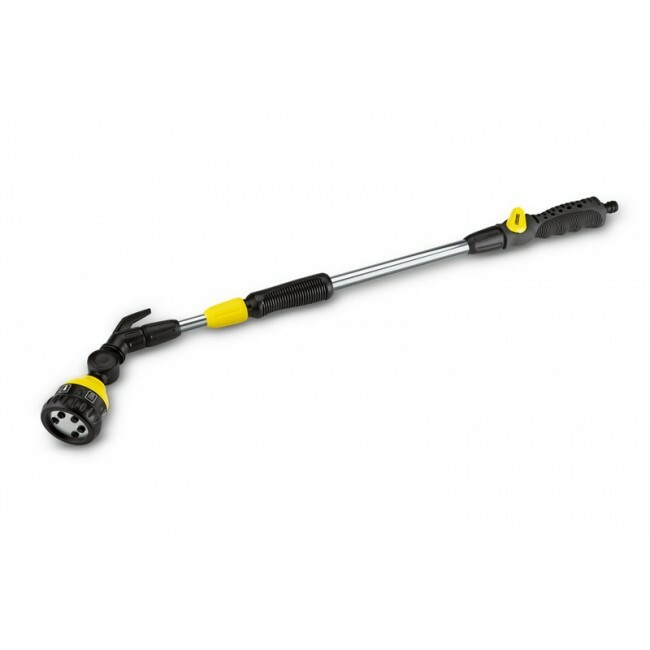 Telescopic spray lance also ideal for hanging baskets. The perfect combination of elegance, first-class features and perfect ergonomic design make the Premium spray lance from Kärcher ideal for effortless watering of large gardens and areas. In brief: the ideal solution for numerous uses in the garden. Note: Kärcher spray nozzles are compatible with all available click systems. ON/OFF function), convenient hanging hook, 6 spray patterns.